Dat’s Rite, I’m a Cajun misplaced in the Midwest for now. One day I’ll get back to my swampy roots in St. Amant, Louisiana. More importantly, you need to know that I have been in the fitness industry since 1988 and created my fitness websites in 2002. For more than half my life I’ve been helping men and women lose fat, build muscle, and get in contest shape in real life and online. My online popularity grew like wildfire when I was one of the first Moderators on bodybuilding.com back in 2000. The information I provided in posts was so accurate and so raw, I was accused of being a man by the male members. 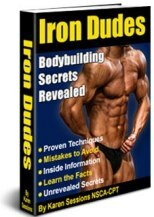 Soon after that bodybuilding.com emailed me and asked me to write some articles. My private messages were always full and I was getting bombarded with emails. What was a hobby, posting and socializing online, had become a job. I started to gather all my data, research and experiments and expand on various topics of fitness, from everything from female bodybuilding to Bikini contest prep, and wrote books on the various areas of fitness that women wanted more REAL information about. (See the VERY bottom for all my eBooks.) Each and every eBook was written by ME, via YEARS of experimenting, testing, researching, and trial-and-error. These aren’t your average 60-page eBooks. These eBooks are JAM-PACKED with hundreds of pages of real information that you can start using today to meet your fitness goal. I am a nationally qualified life-time natural female bodybuilder, multi-certified fitness instructor, specialist in performance nutrition, and success coach. Am I bragging on myself? No. You just need to know a little bit about my fitness background. 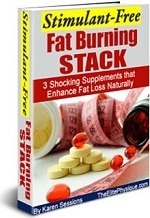 I teach people, Just Like You, how to build muscle, lose fat, and get in shape. When you have the CORRECT information you can have total confidence and turn your dreams into reality… and I can help transform YOUR body. I have helped hundreds THOUSANDS of clients reach their goals. I also offer online personal training to help you one-on-one with your fitness goal. 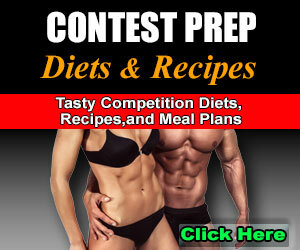 With your weight and stats I will create a diet, sample menu, cardio program, and training program. I supply the working program, you do the actual work, and the changes will begin within the first week or two. Get your Personalized Training Program from this week! Dreams can turn into a reality with a will, dedication, and effort. I embarked on bodybuilding at an unhealthy weight of 90 pounds at 5’4″. I was in early stages of Anorexia Nervosa, a serious illness of self-starvation. It all began as a simple quest to lose a few pounds to go to the beach for spring break. 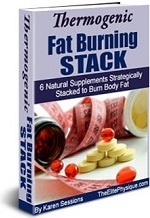 My weight loss strategy was simply cutting my meals in half and exercising a bit more and, viola, weight loss. With my unhealthy weight loss I felt the sense of power. After my beach trip I remained on my unhealthy diet and continued to lose weight. I became leaner and thinner. Others began to notice my new body. As the illness progressed I slowly began to fear food, thinking that anything that I put in my mouth would make me fat. My eating virtually ceased, my skin was dry, my hair was falling out, I was weak, and I began passing out. The closest people to me, my parents, were blind to my illness. my hair was falling out, I was weak, and I began passing out. The closest people to me, my parents, were blind to my illness. Finally, a friend confronted me. I was in dismay and denied all accusations. I was scared to death that she knew, but I was also grateful that someone was aware of my situation. I knew I had an eating problem, but I did not know how to overcome it. Sure, in my mind I know how to conquer it, but defeating such a condition is not as easy as it may seem. It wasn’t until my friend called my parents that I made the inner decision to make a change, simply because I didn’t want to be sent away to a clinic or hospital. I wanted to recover the right way so I went to the gym to gain the right king of weight, muscle weight. Since I was underweight, the muscle gains came quickly and easily. Others in the gym began noticing my drive and physical changes and took me under their wing, introducing me to more advanced training techniques. Then, one day someone suggested that I compete in a bodybuilding contest. 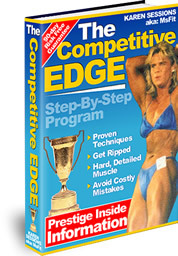 Now, I must admit that I admired the muscle goddesses that ruled the competitive stage on ESPN’s female bodybuilding, but I never thought I had it in me to get in such condition. I always said that I would never do such a thing, simply because I didn’t think I could. 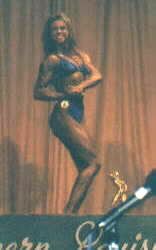 In 1995 I competed in my first bodybuilding competition, placing 4th in the Women’s Novice Light Weight. I did well for my very first show with no help, but I wanted a higher placing. I competed two more times that season, placing 3rd in each competition. As my show approached I started my pre-contest training. I started a 2-day on, 1-day off training split and began moderate cardio, which progressed weekly. I introduced carb-cycling and added more essential fat to my diet. I was seeing changes weekly, which kept the motivation in high gear. In 1997 I won 1st Place in the Women’s Open Light Weight Division and Overall! Finally, I got what I was working so hard for, and it was well worth the small sacrifices. I went on to compete for two more consecutive years, focusing on making certain body parts better. 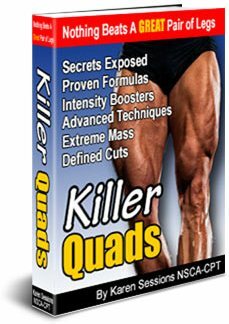 In 1998 I wanted to have killer legs, a body part I thought was always under par for me. I hit Periodization in that off-season and built an awesome pair of wheels that turned heads on the street, as well as the competitive stage. I won 1st Place again in the Women’s Open Light Weight Division and received 1st Place in 2 National Qualifiers that year. I decided to compete again in 2001 just to test the waters and reclaimed my 1997 Overall victory. I placed 1st in the Women’s Open Light Weight Division and won Overall again. After that contest I had some major life changes. I was laid off my job and I moved to another state. I moved to a SMALL town and no one would hire me. There’s nothing her but a Walmart and a stop sign. So, I started my online business, The Elite Physique, (MsFit) where I write fitness eBooks and articles and offer online personal training to help others with the same goals.